Elite Tree Care Inc. is owned and operated by Riley Brown and his wife Krisztina Posch. 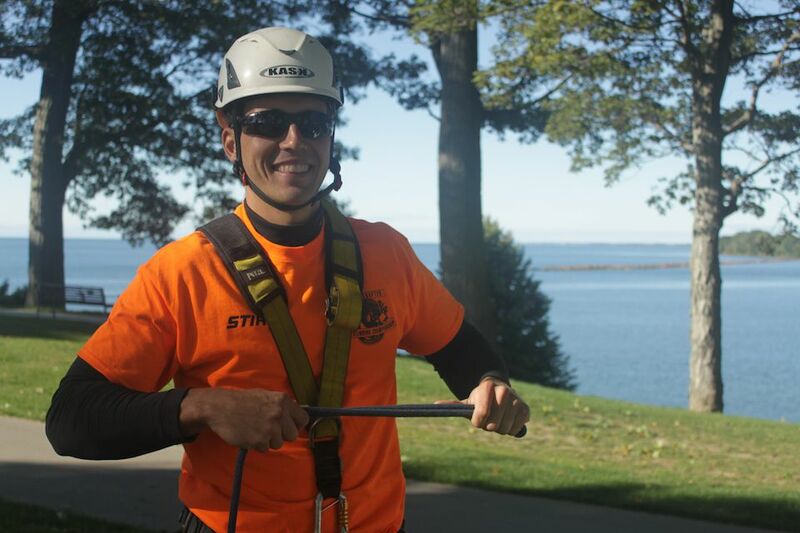 Riley has over 14 years of Arboricultural experience and certifications with the following governing bodies; International Society of Arboriculture Certified Arborist ON-1281 A, Certified Tree Risk Assessor (ISA PNW) #1580 and is a Certified Utility Arborist MTCU 2141750. With a focus on production climbing, Riley has also competed in the Ontario Tree Climbing Championship for seven consecutive years, is an International Tree Climbing Championship competitor, and is the OTCC 2013 champion. He has worked in many facets of the tree care industry and is now entirely focused on residential and commercial tree care for a few reasons. Most of our urban forest in on residential or commercial land and the proper care of these trees is a very important and rewarding job. Meeting people every day and educating them on what is good for their trees and shrubs is something that never gets old.